Kevin M. Clyne | Ruskin Moscou Faltischek, P.C. 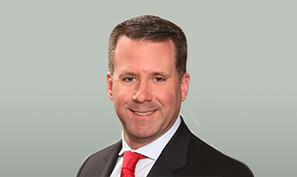 Kevin Clyne has a track record of successfully prosecuting tax certiorari cases for diverse types of commercial and retail properties including: office, industrial, and warehouse buildings; hotels, motels, and resorts; regional shopping centers and department stores; golf courses and restaurants. He has developed a reputation as a vigilant advocate throughout upstate New York and Long Island. Kevin serves as special counsel to Ruskin Moscou Faltischek, P.C. in the Tax Certiorari Practice Group. He is a member of the Tax Certiorari and Condemnation Committees of the Nassau County Bar Association, the Suffolk County Bar Association, the Westchester County Bar Association, and the Bar Association of the City of New York. He is also a member of the Long Island Builder’s Institute (LIBI), the Long Island Real Estate Group (LIREG), Advancement for Commerce Industry and Technology (ACIT), where he serves on the Board of Directors, and Action Long Island (ALI) – where he cochaired the ALI Housing Task Force. He served as a board member of the New York Condemnation Conference and lectured on property tax law at Hofstra University School of Law. Recently named to the Long Island Business News 2012 Top 40 under 40 list, his charitable initiatives include serving on the Golf Committee for the Hagedorn Little Village School in Seaford and actively advancing the cause of supported employment for individuals with disabilities on behalf of Adults and Children with Learning and Developmental Disabilities (ACLD) in Bethpage. Kevin is a partner at Herman Katz Cangemi & Clyne, where he also practices tax certiorari law.